This is the third post of ‘The 7 Wonders of Nigeria’ series and this particular one was not difficult to write as the Nigerian woman definitely merits a mention as a wonder of Nigeria. If you have not read Part 1 and 2, search for them under the'Labels' heading on your right. It will be interesting to get readers feedback on 'The Nigerian Woman'. Read on! The Nigerian woman is extraordinary. She pops up at every equation that captures Nigeria. She is the trader on the street, the tiller of the ground and keeper of the home - the economic powerhouse of the nation. She is the mother and at the same time father of the children, a position some men have voluntarily, if unknowingly, relinquished. She combines a full time job with mothering four children, wife to a demanding husband, holding down a major role in Church and studying for a PhD in Applied Science. She is the multi-tasker no one expects to complain. Without the Nigerian woman, there would be no Nigeria. She is the spine of the nation by virtue of being the spine of her husband, the spine of her children and the spine of the extended family. She stays up to encourage her studying children whilst her husband is fast asleep. She still has to rise long before dawn to prepare food and plan the day. She is indefatigable, indestructible and indescribable. She accepts her husband’s indiscretions with dignity and takes his intransigency on the chin. She deals with her societal-imposed minority role with utmost diplomacy. She smiles whilst suffering. She executes her role with the utmost diligence. The Nigerian woman is the ultimate homebuilder, engineer, medical personnel, arbitrator between children and father, advocate on behalf of the children, human resource specialist, Operations Manager, the Prime Minister of the family government, the teacher of manners and etiquette, the prayer intercessor and the attentive listener. She comes in every shade of colour, shape and style. 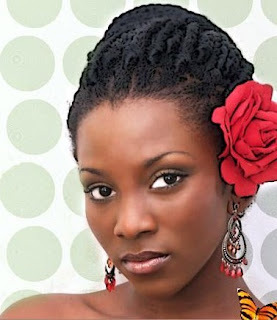 There are eight types of Nigerian women - The fair-skin and the dark-skin; the slim figured (lepa) and the amply shaped (orobo); the short and the tall; the effizy one and the traditional. The Nigerian woman is stylish. Whatever her age; style and looking good are indelibly programmed into her DNA. She relishes the beauty of her naturally tanned skin, full lips and her thick, strong and healthy hair. She is effervescent and drop-dead gorgeous. She believes that God spent extra time on her and this makes her unrepentantly confident. She is confident of her natural allure, confident of her body and confident of the future. As a girl-child, she already has a routine of making her hair every week. She is big time into cleanliness and may even shower twice a day. She will speak with boldness and will not be led astray by anyone. Between 18 to early twenties, she knows how to style her hair into different looks on a daily basis. She is either in the last lap of University or doing her national service. It is also possible that she is working in an oil company, Bank or pursuing a Masters programme. At mid-twenties, she has a clear mental plan of her future. She knows what she wants, the type of man that will complement her plan for success in life. Except she chooses to be deceived, an average Nigerian woman in her twenties is too mentally and emotionally sophisticated to fall for any silly trick. In her 30s, the Nigerian woman is an established businesswoman who knows every nook and cranny of Naples, Dubai, Milan and the outback of Guangzhou. Whether she has a shop in downtown Isale-Eko or the upmarket Isaac John Street in GRA Ikeja, she is financially savvy, hardworking and consistent. Nowadays, there is no industry or vocation in which the Nigerian woman is not actively involved. The other day I met a lady who says she is a landscape gardener. There are also women motor mechanics, photographers and Danfo bus drivers. Nigeria women do not settle for the dictate that a girl’s fame and fortune depend on her beauty, they will rather combine beauty with brain and brawn. At a period in 2006, the Director General of the Nigerian Stock Exchange, the Foreign Minister, the Finance Minister and the head of the Food and Drugs Agency in Nigeria were all women. The Nigerian woman is also in many instances the unassuming, quiet woman at home, the one who hawked puff-puff on her head amongst other things to send her children to school (like my mother did). She is the one who plays second fiddle to her husband at her daughter’s wedding and subjugates her personal ambition to that of her husband’s. The Nigerian woman is still, sadly repressed in many of our cultures and traditions but the future is hers. I have no doubt that the Nigerian woman is ably qualified for a Nobel Prize in longsuffering, sheer industry and nation building. A glass that cantains liquid half way is to one person half full, and to another half empty... it just depends on perspective. As a girl child, she has her head shaved to save time; and cost. She has learnt to balance a 20ltr pail without supporting it with her hands, and her wares after school too. She knows it's important to sell them all before she comes home to do her home work with light from a hurricane lamp (when she can, her teachers don't care anyway). She not only speaks with boldness but she has learnt every abusive term from the streets and some from her mother; and if life is really hard, she becomes someones maid. That one is really hard because she's verbally abused by the children, physically abused by madam and sexually abused by oga. Between 18 to early twenties, she has learnt that the fastest and easiest way to sell her wares is at the motorpark-in exchange for little favors. Depending on her make up, she will either have learnt what combination of pills to take or where to go to make an unwanted pregnancy disappear; otherwise she has a baby by an agbero, okadaman or her classmate. If she's from the "upper-lower" class, then she's still struggling with JAMB and WAEC. At mid twenties, she's lucky to have finally gotten admission into a higher institution she doesn't like to study a course she didn't apply for. She's learnt that the only way to keep up with the Jones' is to find an aristo and buy hanouts too. It's also the only way she is likely to get a job anyway. Otherwise she just learns a trade, marries her baby daddy or the first available man who can take her away from the single room her family of six shares; and install her in a room & palour. In her 30's, if she's married she's wishing she isn't; if she isn't she's desperate to be. The problem is she's had her suitors dad or uncle as her aristo... If she's the Dubai, Milan, Shanghai sort, guys are afraid they won't be able to keep up with her high standards... So she cleans up her gardener, laundryman or driver and makes him her groom. Or she just becomes the other woman-chiefs xth wife. For me, the glass is half empty for the nigerian woman. It's the realliy I deal with everyday. And it breaks my heart. Thank you 'anonymous' for the insightful and sobering dimension to 'the Nigerian Woman'. The hope is that this post and all the comments will celebrate the ups and the downs, the victories and the challenges, the hopes and the aspirations of the Nigerian Woman particularly this month of March which has the double honour of the International Women's Day on the 8th and Mothering Sunday on the 22nd. very good comments of a nigerian woman. I liked this positive outlook on the Nigerian woman. Our lives are far from ideal but we make the best of what we've got. All hail the Naija woman and women everywhere! accepted...truely, the glass can be half full or half empty. what people do not understand is the fact that women have their own will - they, excluding those that are forced by violence, do what they do because they chose to and want to.